Mohamed Salah’s Chelsea career appears to be coming to an end with the Barclays Premier League champions having slapped a £25million price-tag on his head, according to Sky Italia journalist Gianluca Di Marzio. The Blues fended off competition from league rivals Liverpool to the signing of Salah in the 2014 January transfer window [via BBC Sport], but the winger has failed to settle in England since joining from Swiss outfit Basel. He scored twice during his first 10 league games for the Blues but was shipped out on loan to Serie A outfit Fiorentina during the second half of last season after finding first team opportunities limited at Stamford Bridge. 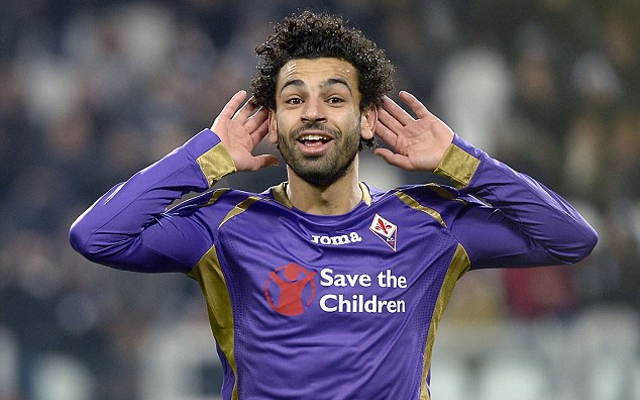 Salah’s form at Viola upon his arrival was nothing short of spectacular as he scored six goals in 16 league appearances and is unsurprisingly wanted by the Italians on loan for next season. Di Marzio’s official website revealed that Fiorentina have an agreement in place with Chelsea to extend the loan deal, but Salah is weighing up offers from Atletico Madrid and Inter Milan. Tottenham are also thought to be interested in Salah as reports in Metro Sport last week claimed the North London outfit are plotting a summer move for the 23-year-old. With Moussa Dembele emerging as a shock transfer target for the Blues if reports in Telegraph Sport are to be believed, then a possible swap deal could be on the cards between the London rivals.